I love nut butters! Cashew is my favorite. 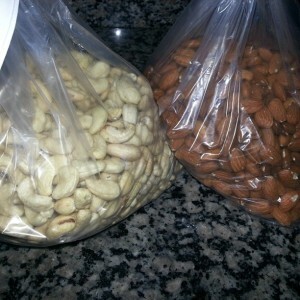 Nuts in general are a great healthy snack and a way to get healthy fats in. When you turn them into a nut butter they become more versatile. I put my nut butters into smoothies, on toast, apples, wraps, make ice cream, put in desserts, etc. I have made almond butter in my Vitamix before. It was on the chunky side because I didn’t let it go long enough. I used coconut butter, and this time I wanted to make it without it. Also I had to use the tamper continuously which was a workout in itself and the Vitamix started to smell like is was burning because the motor is so strong and I guess I wasn’t going fast enough with the tamper. That said I still love my Vitamix and wanted to give it another shot with a few adjustments of course. I’ve seen people use a food processor before and I wanted to give it a try. Well, halfway through the process I broke the tamper for the Vitamix. I was using the smaller container used for dry ingredients this time but I didn’t use the mini tamper. So to be fair I will have to do another contest. This is what I gathered during this process. The Vitamixer started to smell like it was burning, like the motor was about to give. The food processor was slow but steady and it didn’t seem to be taxing on the motor. 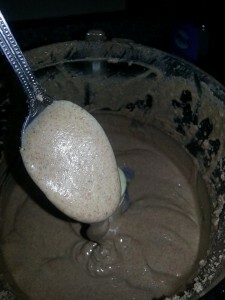 For some reason the almond butter in the Vitamixer tasted sweeter and had a better overall flavor. Now granted I am an extremely picky eater and you may not even notice unless you are like me but even though I used the almonds from the same bag they tasted different. I’m thinking that in the Vitamixer since it was faster and more powerful it almost gives it that roasted taste. I can’t compare the texture of the end result because well you already know. But the end result of the almond butter in the food processor was very creamy and it stayed that way when it cooled down. It was by far the best I’ve had from any store, with no preservatives, added oils, salt, nothing but raw almonds and patience! 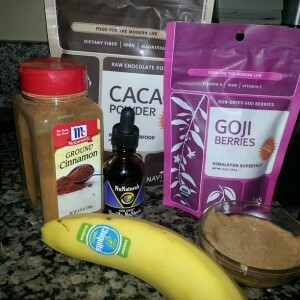 Since I love my Vitamixer, this ain’t over! I ordered some more tampers and when they come there will be a rematch! Stay tuned, in the meantime go make some almond butter! 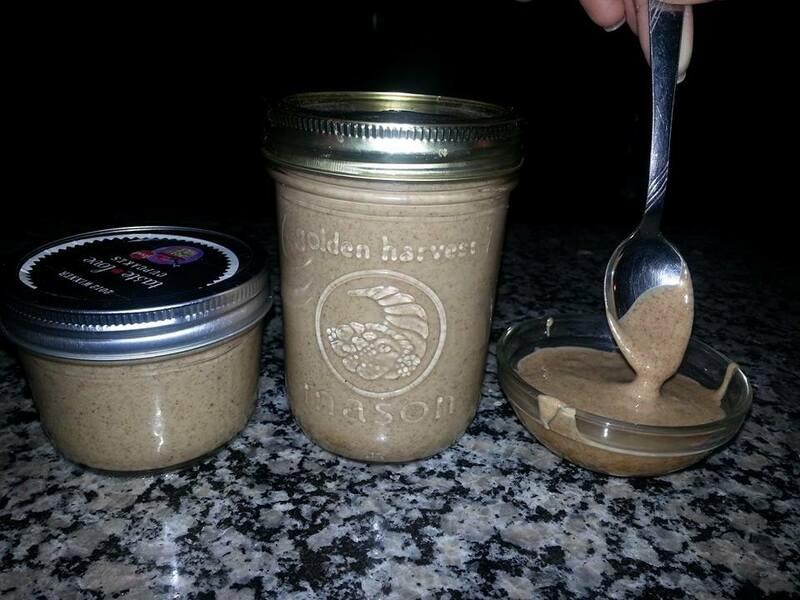 Here is a great drink you can make with your homemade almond butter. My Chocolate Passion drink! Instead of using milk use 1-2 tbsp. of almond butter and 1.5 cup of water.